The Ottawa Senators began last season with a gaping hole at center behind No. 1 pivot Jason Spezza, one that general manager Bryan Murray takes all the blame for. "It was a hole I created myself when I traded Mike Fisher," Murray says. Of course, Murray's trade of Mike Fisher to the Nashville Predators for a first-round pick in the 2011 Draft (Stefan Noesen) and what became a third-round pick in 2012 (Jarrod Maidens) was born out of necessity, because the Senators were in the midst of a disastrous 2010-11 season at the time. Last season a springboard into 2012-13? Still, Murray didn't do such a bad job filling that hole he "created" when he traded Fisher away. On Dec. 17, 2011, Murray packaged promising defenseman David Rundblad and a second-round draft pick to acquire Kyle Turris from the Phoenix Coyotes after his relationship with the club that selected him with the No. 3 pick at the 2007 draft grew sour. While Turris, 23, was painted as a bit of a troublemaker for orchestrating his trade out of Phoenix, Murray couldn't be happier with his acquisition today. "He's a terrific kid," Murray told NHL.com, minutes after Turris left his office for an offseason chat. "He's been here just about every day working out; he's up to about 198 pounds now. He looks like he's really matured into a man." The Senators will need Turris to play like a man if they hope to improve on last season's eighth-place finish in the Eastern Conference. In 186 NHL games, Turris has scored 34 goals to go with 41 assists, but in just half a season in Ottawa he's already shown evidence that his best is on the verge of coming. Turris scored 12 goals and 29 points in 49 games with the Senators last season, a point-per-game average of 0.59 that was nearly double the 0.33 he posted in the first 137 games of his career with the Coyotes. Even though Turris got an assist in each of his first three games with the Senators, Murray estimates it took him 15 games or so to fully adjust to his new team. Turris developed some chemistry playing alongside team captain Daniel Alfredsson on Ottawa's second line, and that relationship will be given an opportunity to grow further this season. "I think he's going to make big strides this season," Murray said of Turris. "He's comfortable with his surroundings now, and playing with Alfie certainly doesn't hurt." 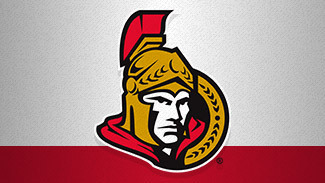 If Turris can blossom into the player the Coyotes thought they were drafting in 2007, the Senators will have another weapon to add to their offensive arsenal that already includes Spezza, Alfredsson, Erik Karlsson, Milan Michalek and newly acquired Guillaume Latendresse. And Murray could then safely say he filled the hole he created on his club.